Visual FX / Post Production Artist – BetSoft: “We are looking for post-production artists with any or all of the following skill sets. Join a team that has a real passion to create quality work and push the boundaries of available technologies. We offer the ability to work from home with flexible hours. Our casual working atmosphere allows for creative freedom with an endless flow of steady work…” Remote. 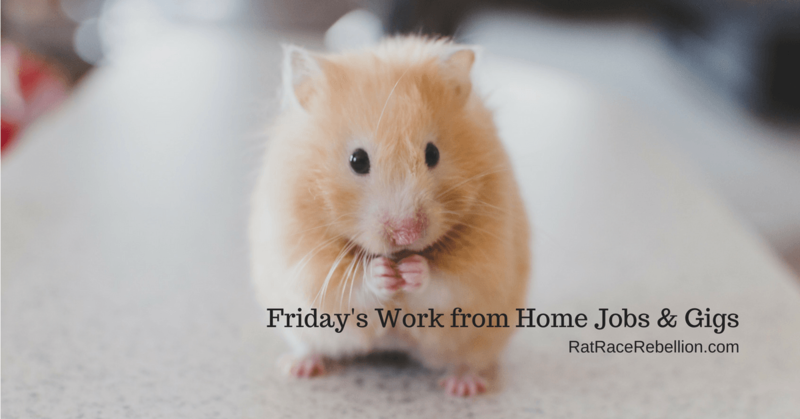 38 Work from Home Jobs & Gigs with No Credit Check – Many jobs require credit checks. Here are 38 legitimate leads that don’t. Short Fuse Alert! P/T & F/T Customer Service Reps, Up to $18/Hr. – VIPdesk Connect is seeking part-time and full-time Customer Service Reps for their HomeAdvisor account. But apply or share quickly if interested, paid virtual training begins “on or about August 10th…” Hiring from AZ, CO, FL, GA, IL, IN, MD, NV, NJ, OH, TN, TX, UT and VA.